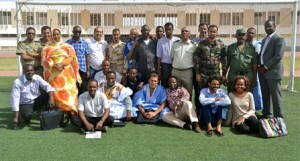 The African Centre for the Study and Research on Terrorism, represented by Col. Emmanuel Christian MOUAYA POUYI and Mr. Elias BENYU participated in a National Training Course on the Fight against Terrorism organized and conducted by Institute of Security Studies (ISS) in Nouakchott, Mauritania from 08 to 19 June 2014. The training was organised in the furtherance of ISS’ regional and national counter terrorism capacity building programme in West Africa. 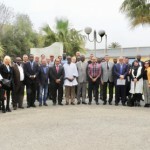 The programme drew 33 participants from the Mauritanian security services that included Police, National Guard, National Gendarmerie, National Intelligence Services, National Army and the Customs Department. Trainers were drawn from various organizations including African Centre for Study and Research on Terrorism (ACSRT); ISS; GIABA; DINBAR Associates-an integrated border management organization based in Nairobi, Kenya; experts from Mauritanian, Burkinabe and Nigerien services as well as independent subject matter experts. 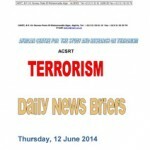 Hostage situation management and; Anti-money laundering and counter financing of terrorism. The programme was a blend of in-house and outdoor practical sessions. 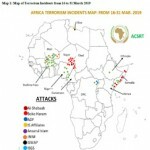 The presentations by Col. MOUAYA POUYI included the role of AU and ACSRT in the continental fight against terrorism, the linkages, structures and networks that exist from the continental level cascading down to individual Member States. He also recognised the Islamic Republic of Mauritania’s efforts towards the fight against terrorism in the region and underscored the need to have fusion centres within the country itself. 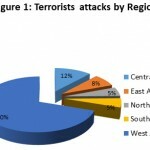 He also presented on the AU legal framework in the fight against terrorism. The course ended with the certification of participants.